Rennie, M.D. 2013. 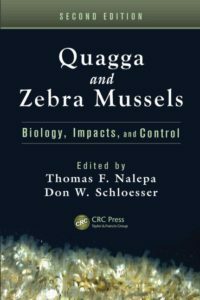 In: Quagga and Zebra Mussels: Biology, Impacts, and Control. 2nd Edition. Tom Nalepa and Don Schosser, Editors. CRC press. pp. 661– 680. Evaluation of eutrophication and water level drawdown on Lake Whitefish (Coregonus clupeaformis) productivity; Fish habitat assessment (Technical report). 10. Changes in fish condition and mercury vary by region, not <em>Bythotrephes invasion</em>: A result of climate change?